Native to Argentina and Brazil. Can be a fast grower with regular watering. Green to grey leaves, long petioles, and long spines between the petioles. 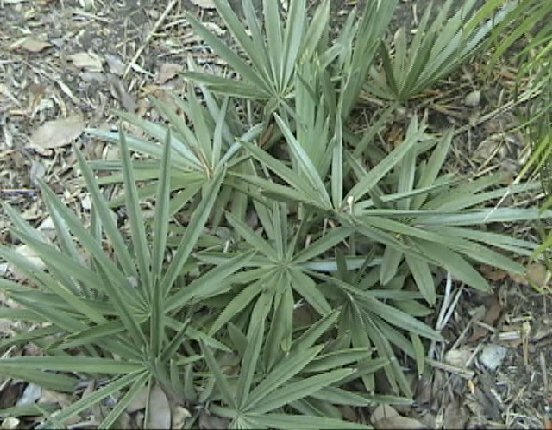 This palm is difficult to find in habitat since there are no roads to get to them. Rare in cultivation due to the low availability of seeds and stubborn germination. Of the "tri" Greek, three, and "thrinax", three-pronged fork. 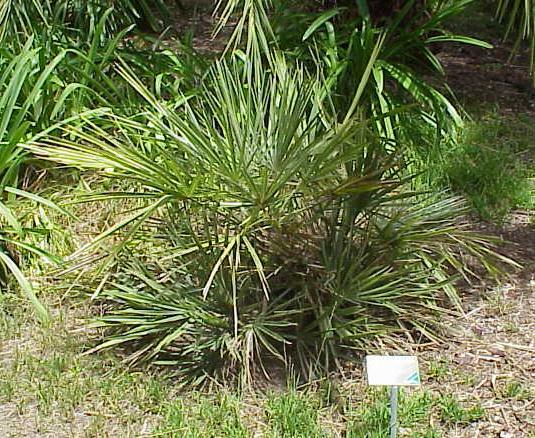 It belongs to the subfamily of Coryphoideae, regarded as a line of palm trees having evolved very little. The flowers of the Trithrinax kind, with three sepals, three petals, six stamens and three carpelles (Magnano, 1973), constitute the ancestral shape of flowering of the palm trees, that from which result all the other forms from flowering. 3 species: Trithrinax brasiliensis, Trithrinax campestris, Trithrinax schizophylla.